Saxophonist Rob Dixon has collaborated, performed and recorded with numerous national and Indianapolis based groups including Illinois Jacquet, Rufus Reid, Composer Bill Lee, The Count Basie Orchestra, Weldon Irving, Ali Shaheed Muhammad of tribe called quest, The Cleveland Heritage Jazz Orchestra, Drummer Mike Clark, The Headhunters, Cyn Layne, Melvin Rhyne, Charlie Hunter, The Smithsonian Masterworks Jazz Orchestra, Composer and Pianist Steve Allee, Guitarist Dave Stryker and the Buselli Wallarab Jazz Orchestra. 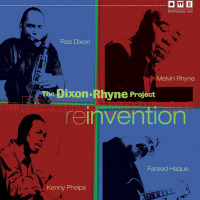 Dixon recently recorded a new album as a leader that was produced by 7 string guitar virtuoso Charlie Hunter. 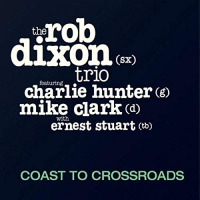 The album features Charlie Hunter on guitar and Mike Clark on Drums with Ernest Stuart on Trombone guesting on four songs. The album is titled “Coast to Crossroads” and will be nationally released in July 2018. In August 2018 Mike Clark’s Indigo Blue band (featuring bassist Christian McBride, alto saxophonist Donald Harrison, Randy Brecker, pianist Antonio Farao and Rob Dixon ) will release a live album recorded at the Iridium jazz club in NYC in 2013. The album will feature five original compositions penned by Dixon. Rob Dixon is an adjunct professor at IUPUI and Earlham College and is the Artistic Director for Indy Jazz Fest. He mentors the Jazz Futures; an Indianapolis Jazz foundation sponsored ensemble comprised of talented high school musicians from various high schools throughout the metropolitan area of Indianapolis. All About Jazz musician pages are maintained by musicians, publicists and trusted members like you. Interested? Tell us why you would like to improve the Rob Dixon musician page.